Have you started planning your office Christmas party? It’s never too early to think about how you're going to approach the Staff Christmas Party. 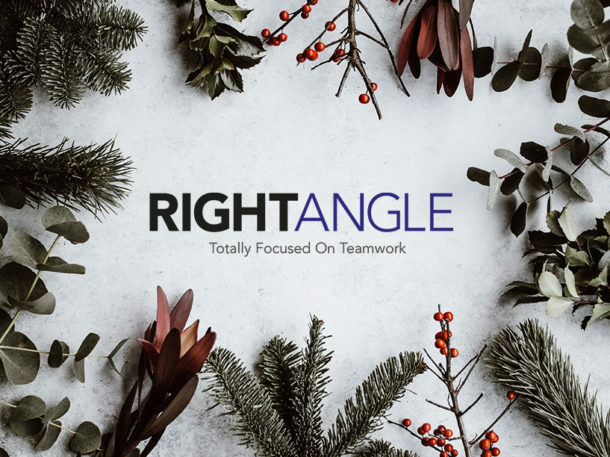 We have Christmas on our minds here at Right Angle, so we wanted to put together our top 10 tips to help you plan the perfect Christmas Event! Below we take a look at the Top 10 Steps to Organising the Perfect Christmas Event. This is the most important aspect of your planning. Find out what people want, is it a party night, sit down meal or are people looking for something completely different and unique? A quick e-mail or poll (try survey monkey, it’s free) will really help you decide what people want. Make sure you include an itemised list of what the budget will and will not include. This way there will be no confusion with your boss, suppliers and your colleagues. Send some dates among key decision-makers within the company early; especially if you are a London based business. We have noticed that London venues are going quickly. It is also important to think about what works best for your company, a weeknight or weekend is best and remember, the majority rule. Friday and Saturday nights are more popular but availability will be limited and prices will be higher. Venues will now start to get booked up very quickly so don’t delay. 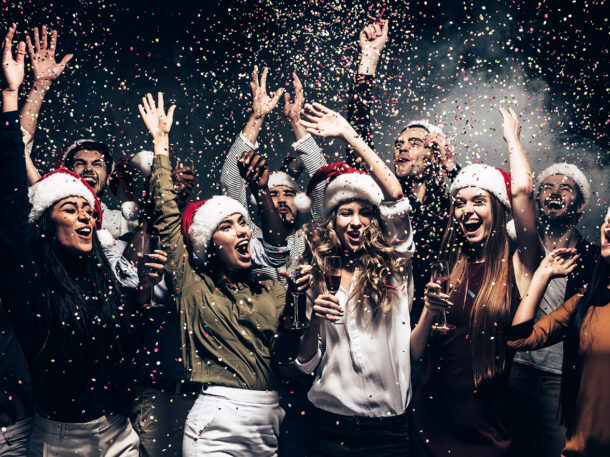 The next step is to come up with a guest list – will your Christmas party be staff members only, or will partners or clients be invited, too? As soon as you’ve made a decision send a “Save the Date” email to all staff to ensure a good turnout. 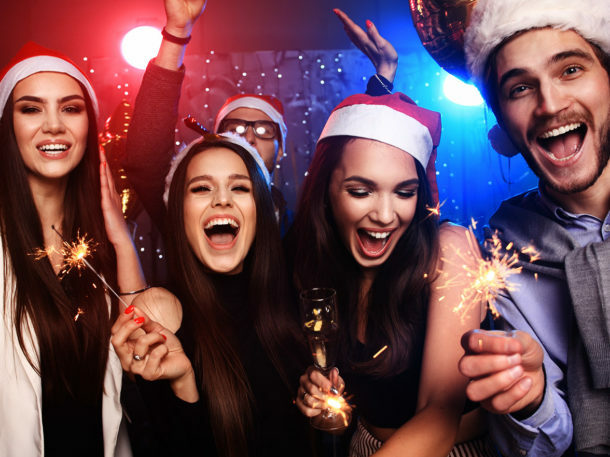 The next decision is the venue and where to hold your Christmas party, as it need to be somewhere suitable for your activity, and easily accessible for your staff. The earlier you book your venue; the better, as good venues get booked fast. We offer a free venue finding service and can help you to find the perfect location for your Christmas party. If you are considering having a theme at your party then it’s important that this is integrated throughout every aspect, from the initial invitation, to the decorations in the venue. We can help recommend suppliers who can help you with theming, or alternatively if you are feeling creative, this is something that you can do yourself! Food is a key party of any event and a meal or a buffet is generally expected at a Christmas party. There are two options for this, either a sit down meal or a buffet. Don’t forget to plan for vegetarian or special dietary requirements in advance. In terms of drinks, we recommend offering vouchers for a certain number of free drinks per person, or you could offer a bottle of champagne or wine per table if you’re having a sit-down meal. There are lots of options when it comes to music that can also tie in nicely with your chosen theme. A band or a DJ is a good idea and will encourage people to dance later on in the night. Why not have something a little more unique such as a magician, casino tables or an ice sculpture or vodka luge which will create a great talking point. Your Christmas party is an ideal time to present any awards and thank staff collectively. You need to plan the timings of your speeches in advance to ensure that you have enough time allocated to this. If your chosen venue is not local too people attending, it is a good idea to put on transport for your guests. You could get your staff to meet at one central location and organise for a minibus or coach to take you to the venue. Alternatively, you could provide local taxi numbers to guests and allow them to organise their own transport. 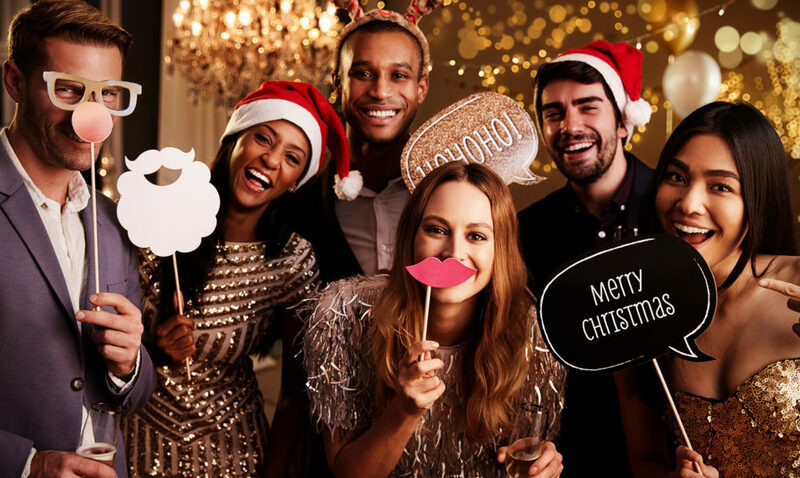 When inviting guests to your Christmas party, you will need to ensure that all the information is included and if there is a theme for the event, this will need to fit your theme. It’s a good idea to create an invitation that can be emailed out to people as well as posted if required. Make sure that you have an RSVP date on there and be prepared to chase guests for their responses! Once you know how many guests are attending, if you are having a sit-down meal, it is a good idea to create a seating plan. It might be an idea to talk to staff and managers for ideas and suggestions about who to seat next to who. Following on from your event it is a good idea to ask for feedback from people to see how you can improve for the next Christmas party. A quick e-mail or poll (try survey monkey, it’s free) will really help you see how you can allocate your budget effectively next year.